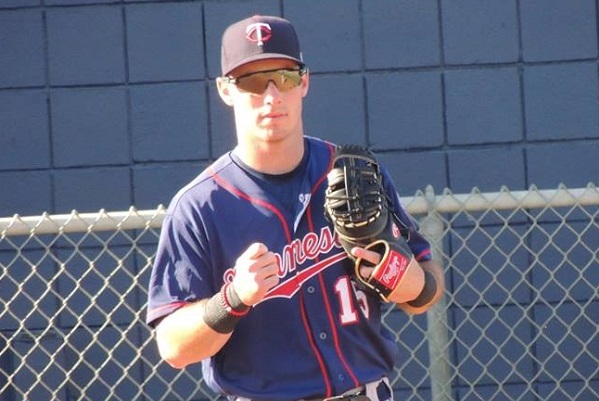 The Twins Daily Midseason Twins Top 50 Prospect series is complete. Early on Friday, the Top 5 prospects were posted, an exciting group, to be sure. You will notice that our Prospect Summary list has been updated. But, on the field, this was a great night for a lot of hitters. Ten hitters had three hits. There were homers. And there were a couple of strong pitching performances too. A rarity, there were no transactions in the Twins minor league system, unless you count Ervin Santana being placed on the Red Wings roster as a rehab guy. So, yeah, I guess that is one. UPDATE: Royce Lewis promoted to Ft. Myers... Of course moments after posting this, we learned that the Twins top prospect and #1 overall pick in the 2017 MLB draft has been promoted to the Miracle. Stephen Gonsalves was on the mound for the Red Wings. The left-hander began his night by putting five zeroes on the board. He gave up a run in the sixth. Over 5 2/3 innings, he gave up just the one run on two hits. He walked two and struck out five. Over his last five starts, he has given up just two runs in 27 1/3 innings (0.66 ERA). Gonsalves was relieved by Luke Bard who got out of the sixth and worked a scoreless seventh inning too. He struck out two. Jake Reed got the eighth inning and was perfect. John Curtiss followed with a scoreless ninth frame. Gregorio Petit led the offense. He went 3-for-5 with his first home run and four RBI. Taylor Motter also went 3-for-5. Zack Granite and Leonardo Reginnato were both 3-for-4 in the game. Reginnato drove in three runs. Granite knocked his eighth double and scored three runs. Nick Gordon went 2-for-5. Kennys Vargas added his 13th home run of the season. The Lookouts fell behind early. They mounted a comeback late, but they came up just short. Anthony Marzi started and gave up two unearned runs on five hits and a walk in four innings. He struck out three. Williams Ramirez came on and gave up five runs on five hits and two walks in just two innings. Sam Clay came on and gave up two runs on one hit but three walks in his inning. Tyler Jay struck out three over two scoreless innings. Brent Rooker hit a three-run homer in the eighth inning that got the Lookouts close. He went 2-for-3 with two walks and the homer was his 15th. He also stole two bases and has five on the year .Jaylin Davis went had a single, his third double and his first triple in the game. Brian Navarreto also had three hits on the night. Jimmy Kerrigan was 2-for-5 with his second double. Griffin Jax made another start for the Miracle. He did not give up a base runner until a one-out single in the fifth inning. That hitter tried to stretch it into a double and was thrown out. His line for the night? He gave up two runs on five hits in 6 1/3 innings. He walked two, hit one and struck out five. Jax went 4 2/3 innings in his season debut. Since then, he has completed at least six innings in all six of his starts. Hector Lujan came on to get the final eight outs. He did so without allowing a run. He gave up two hits, walked one and struck out five. Taylor Grzelakowski continues to impress. In this game, he went 2-for-4 with a two-run double and his first triple. Aaron Whitefield helped with his third double, and he stole his seventh and eighth bases. Alex Kirilloff added an RBI double for the Miracle. Blayne Enlow picked up his first win as a member of the Cedar Rapids Kernels. The 2017 third-round draft pick gave up two runs (one earned) on two hits. He walked two, hit two and struck out four. Melvi Acosta picked up his third save of the year. He worked the final three innings and gave up two hits and struck one out. Andrew Bechtold got on base, going 2-for-3 in the game. Ariel Montesino drove him in twice and was 1-for-3. Ben Rodriguez provided a little insurance when he hit his seventh home run of the season in the eighth inning. Toby Gardenhire was ejected in the third inning for disagreeing with a balk call. For the third time in their four-game series against neighbor Johnson City, the E-Twins racked up ten or more runs. They had 17 hits in this win. In the four-game sweep, the Twins scored 45 runs. Ryan Jeffers went 3-for-4 with a walk and three RBI. Yunior Severino was 3-5 with a walk and his fourth double. Chris Williams was 3-for-5. Alex Robles went 3-5 with his sixth double. Albee Weiss homered for the fourth time on his season. Josh Winder started and gave up two runs over the first five innings. He gave up six hits, walked one and struck out six. Moises Gomez came on and was charged with four runs (3 earned) on three hits and three walks. He struck out two. Juan Gamez came on and got three outs, but he was charged with two runs on three hits and a walk. Derek Molina got the next three outs.He gave up two runs (1 earned) on one hit and three walks. He struck out two. Zach Neff came in and got the final two outs, both on strikeouts to end the game. The Twins scored two in the top of the sixth, but then gave up two in the bottom of the sixth inning. After seven innings, the rains came and ended the game. The GCL Twins managed just four hits in the. Gabe Snyder knocked in the two runs with a single. Willie Joe Garry hit his second double. Landon Leach was back on the mound on Friday afternoon. He worked the first three innings and gave up two runs on five hits. He walked two and did not record a strikeout. Kai-Wei Teng came in and went the next 2 2/3 innings. He gave up two runs on three hits, two walks and a hit batter. He struck out three. Dylan Stowell got three outs before the rains came. #3 - Brusdar Graterol (Ft. Myers) - Did not pitch. Scheduled for Saturday. #10 - Zack Littell (Rochester) - Did not pitch. #15 - Ben Rortvedt (Ft. Myers) - Did not play. #17 - Lewin Diaz (Ft. Myers) - Did not play. *I figured that since Wander Javier is out, I’d add #21 to the list. Not going to quibble with the Hitter of the Day--pretty tough choice. Rooker did have a heck of a day at the plate and on the base paths, though. Looks like another good day for the prospects. Rooker and Jeffers keep hitting, and Gonsalves is trending the right direction. I'd like to see Gonsalves get some starts near the end of the year to prepare him for the 2019 season where I can see him trying to crack the rotation. I was at the Kernels game, and the Fort Wayne Tin Caps played one of the worst fundamentally sound games I have ever seen in pro ball. It makes me appreciate what we see every day in the big leagues. It would also make my grandfather and great-uncle (who pitched in the 1950 series) turn in their graves. This article has been updated with a quick note that Royce Lewis has been informed he's heading up to Ft. Myers. I haven't followed Williams Ramirez much, if at all, but since the middle of May he's suddenly unable to prevent runs. Moving up through the organization he's had nothing but success as far as I can see, and his first several weeks of 2018 were OK. Physical problem? I like the additional #21, but since Larnach is not playing yet you can add #22 too.Rooker is good news, maybe he can audition in Logan Morrison's spot in the lineup. Great to see Lewis move up.Plenty of season left for him to settle in to Hi A ball.Expect he will go thru an adjustment period similar to what Kirilloff has been doing. Can't say enough about Severino.I know a lot of prospects have put up big numbers at ETon, but this kid should be mentioned right along with them. Also great seeing both Enlow and Jax have very good nights on the mound.Gonsalves seems to be on track for spending September in the Twin Cities, well most of it. I think it will be interesting who gets the invite to AFL this year. Rooker and Kirilloff, I’m sure. He can pretty much only play first or DH....imo, the defense knocks him down a tiny bit. Thanks for updating the prospect summary list! Any thought on making that it’s own article, and doing one, all 1-40, say, twice or once a month? Doesn’t have to be a huge write up, just what you do here, but with their current line, maybe their last performance or where they were the previous month and one or two sentence blurb on their last month of play or a highlight or something? Might be... Right after he struggled in the All Star game, he went on the DL, and he just hasn't been the same since then. For me, about 4-10 were close. I don't want to say interchangeable because some thought goes into it, obviously. But it just shows how much depth there is in the organization. Tom has been doing a monthly update on the Top Prospects and ten other random ones.Or something like that. On TD? How could I have missed that? Yeah, I think he's done it on the 15th of the last couple of months. There was another pitching performance yesterday, Seth, that may have been better than Enlow.Anthony Escobar threw 5 no-hit innings for the DSL Twins, striking out 4 and walking only one.This young 17-year old has an excellent 1.24 ERA with a 0.64 WHIP in 43.2 innings with 37 K's and only 7 walks. Escobar clearly is the top pitcher for this exciting team that has a 25-11 record.